I think most of us know that beer is best closest to it’s home. 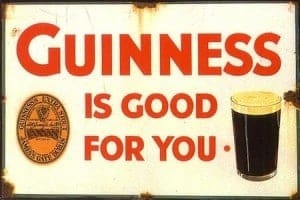 A study conducted on 103 pints of Guinness in 71 pubs and 14 countries found that the beer brewed and consumed in Ireland rated the highest (although at the brewery itself wasn’t the highest scoring). The study was conducted under the Institute of Food Technologists which is a Chicago-based not-for-profit. One issue not factored in was the ambience of drinking it in Ireland. I know I seem to enjoy beer more when I’m drinking it in the brewpub/brewery where it’s made or even when drinking it in your favorite beer bar vs a dive bar. They did find evidence of what most of us have known for years. Beer tastes best at places where the demand is high so that the beer is never sitting in the lines for long. That’s why while my local American Legion has a couple craft beer taps, I stick to macro there since it hasn’t been sitting there for weeks or even months.